Recovery from panic attacks / anxiety starts here! which has been used by thousands of clients successfully. “By coming to this page, you are showing that you have had enough of suffering your living hell, and want to eliminate your panic attacks and anxiety. You will probably have found that the medication your doctor recommended only masked your problem. Your counsellor was probably only interested in discussing some stressful event, but has never come up with a solution. The natural therapies and multivitamins have failed to deliver what they promised. Your heart is probably still beating fast, the dizziness is with you all day, and hyperventilation comes and goes, at will. Your safety zone is getting smaller and taking your children to school, or going to work, becomes a bigger obstacle each day. The temptation now is to reach out to anyone who offers a miracle cure at an inflated price. You are now at your most vulnerable, and you are probably starting to believe that no-one understands what you are going through, and this is it for the rest of your life. What will this online programme for panic attacks and anxiety do for you? If you are suffering from the symptoms of anxiety disorder, then this online programme, with my support, will provide release from your nightmares, AND ELIMINATE YOUR PANIC ATTACKS AND ANXIETY. These are the same techniques I used to eliminate my 20 years of panic attacks (have a read of my personal story on this website); the only difference is that I have added an amazing support package to make it easier for your recovery. You will notice relief from the very first module, where I teach you to reduce your stress, and also provide you with two mp3 recordings to aid your relaxation. We are the only people offering live one to one sessions to reduce your anxiety and make you mentally stronger, so that you will find it easier to get on the road to recovery. Everything is straightforward and easy to follow. All you need to do is provide the wish to eliminate your panic attacks and live a carefree life. 1. Full online programme with all recordings, with support through each module by Vincent Benedict. 2. Free entry to all webinars. 3. Membership to closed facebook page. 4. Support from Vincent Benedict via email, facebook chat or private messaging, texting. 5. Single one to one skype session, lasting at least one hour, each month. This can be changed to two 30 minute sessions, if required by client. 6. No long contracts. Cancel at any time without penalty. 4. 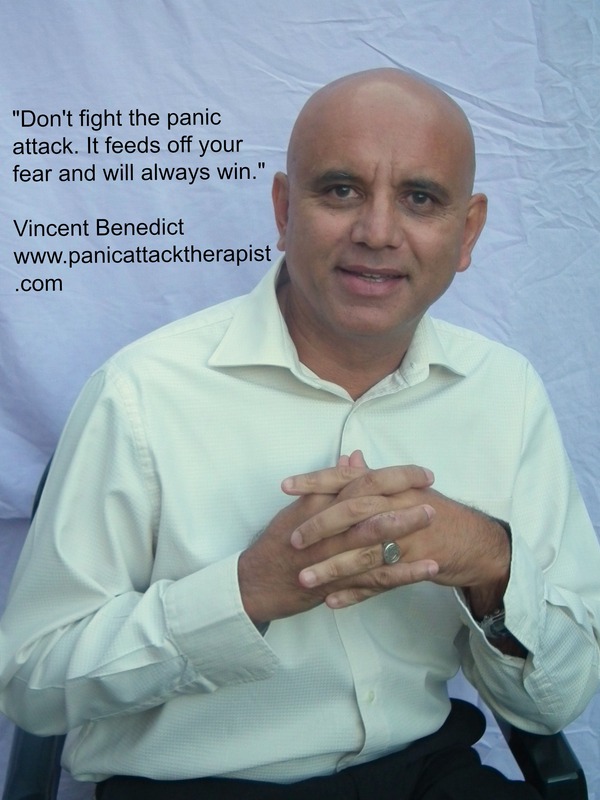 Support from Vincent Benedict via your chosen communication system. 5. One to one Skype session every week with Vincent Benedict. 2. Free entry to all live sessions. 5. One to one skype session, every week, with Vincent Benedict. *** Please note that costs may vary slightly due to currency exchange rate. *** Please note that you may cancel your membership at any time, without any penalty. You are welcome to rejoin at any time. *** Should you elect to join the “Personal Client” programme, this involves working closely with Vincent Benedict and is strongly recommended for those who need quicker results. I will contact you on a weekly basis to ensure that you are given the best opportunity to recover from your disorder. I believe I am the only therapist providing this level of support, at such a reasonable price. Is this what you want? Do you want to live the life you were leading before all these problems started? Let me provide it for you. Why not have a look at my business facebook page and see all the great feedback. Please feel free to contact anyone on the page and ask for feedback. Once you have enrolled, you will receive instructions by email to start the first module immediately. And, don’t forget, I will be supporting you throughout via a choice of different mediums, depending on the package you opt for. 1. You can use it at home because it is all online. This is particularly important for clients who are unable to go outside, or travel to see a therapist. 2. These techniques are tried and tested, and have worked for me and hundreds of my clients. I have added some very effective recordings, and an amazing support package, which make this programme unbeatable. These recordings will help you de-stress and become more positive in your daily life. 3. I believe that our system is the most successful because we include optional live one to one skype sessions. These are easy to attend – all you need is a pc or laptop. During these sessions, I use unique techniques to reduce your anxiety and make you mentally stronger. 4. You get personal support from me via the chatrooms, skype, facebook, email, phone, depending on the package you choose. If you don’t want my support, and want to do the programme on your own, then that is your choice. I have been through what you are going through and understand what your needs are. 4. The instructions are delivered every few days so that you are not overloaded with information. 1. Go to my facebook page and have a look around at the great feedback. It has been there since 12 Dec 2012 and is the top page belonging to a therapist. If we weren’t doing something right, we would not have lasted this long and with so many members. 2. Don’t want to sign up to anything till you are sure. Give me a ring on 077 8215 8008 or contact me via Facebook, with any questions. Day 1 – Introduction to the programme. Why do you have panic attacks? Symptoms of a panic attack. Instructions to stop accommodating your anxiety. Two mp3 recordings to reduce negative thoughts and stress. 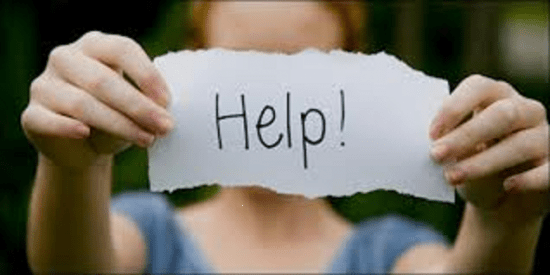 Day 3 – Panic Attack symptoms are good for you? Easy technique to give you a boost when you are feeling down. Day 5 – Diverting your mind. mp3 recording to imagine yourself without anxiety. Day 8 – “So What!” technique. Panic Attack Roller Coaster technique. Ride the Wave technique (all the way from Kathmandu!). Day 20 – Reminders to make sure you are doing it correctly. mp3 recording to eliminate any negativity. Day 22 – Ring of Confidence technique so that you can feel confident, motivated and strong whenever you want. Two mp3 recordings to give you confidence and motivation whenever you need it..
Day 25 – Repetitive Thoughts / Intrusive thoughts. Recording of technique for you to follow to eliminate these thoughts. The different modules will be delivered to you on the set days. This is to stop you being overloaded with information right at the beginning, and it also gives you a set structure to follow. The mp3 recordings have been made by myself and can’t be purchased elsewhere. They will deal specifically with negative thoughts, anxiety and panic attacks. You can listen to them on the computer or download them to your phone or cd. Each module will have questions to ensure you are following it right. For support, you can email me or contact me via facebook chat, skype, phone or face-to-face depending on the package you choose. As an added bonus, we are also doing live talks/relaxation classes/meditation several times a week to help you continue with your recovery. *** Please note that I do not offer any refunds, as you are paying for my time and not the results. With any form of therapy, much of the success of any treatment is determined by your motivation and determination. Great offer open till 7 January 2018. New Year is a great time for planning the year ahead. Think of what you planned to do last year, but failed because you kept putting things off. Make it different this year! Last year, 2017, my clients achieved amazing results which, at one time, they would have found daunting. Results like flying on a plane, going shopping, visiting the dentist, driving, and the list goes on. The only thing my clients did, which was different from other sufferers, was to make a decision and hire an experienced therapist like me. Most sufferers procrastinate about getting help, or try the easy route by buying books/cds etc. They find out the hard way that these kinds of “programmes” don’t work; what works is a structured programme supported by a qualified therapist. 2. Write it down. Be specific. 3. Pick a start date and work out a schedule. 4. Keep progress details and discuss them with whoever is supporting you. 5. Share your goals with your family and friends. Become accountable. 6. Accept failure. It is part of progress. 7. Plan a reward for yourself. If you suffer from panic attacks/anxiety and want to address your issues in 2018, I am available to help you. Enrol as a client on the link below, and I will give you the option of a one to one skype session to discuss your New Year resolution, and how to achieve it. FREE! 1. Full online programme and all mp3 recordings. As it is online, it is ideal if you are housebound or limited with your time. 2. Live online group sessions every week, to speed up your recovery. If you are unable to attend these optional sessions, we have lots of recordings you can listen to. 3. A closed facebook group for all my clients where you can offer yourselves mutual support and motivation. 4. Support from myself via email, messenger, texting or through the closed facebook group. I don’t have secretaries etc to provide support. If you contact me, I will give you personal support. 5. An option to have a one to one skype session to discuss your particur issues and an action plan for next year. If you feel uncomfortable doing a skype session, then we can discuss other options. I suppose you want to know the final cost? How much would you expect to pay for the full programme, live webinar sessions, live personal support, and an optional skype session with Vincent Benedict? The total cost of my programme is normally £45 per month, and another £45 if you want a one to one skype session (one hour), giving a total of £90 for the first month. However, I want 2018 to be special for you and I want you raving about all your great achievements. Therefore, I am going to offer you the full programme, support and an optional one to one skype session for the ridiculous price of £35 per month. This offer is only open till midnight on 7 Jan 2018, UK time. Click here for an awesome 2018, for only £35 per month (cancel at any time). People suffer from panic attacks, and it may affect their jobs or social lives. However, in the case of parents with panic attacks, the consequences can be 10 times worse. If the attacks are not addressed immediately, the sensations may get worse and start affecting their role as a parent. A parent with panic attacks may find it difficult to take their children to school, attend class performances, take their children to the park or beach. They see their children grow up without them, and the feelings of guilt will stay with them for a long time. Problems may get worse if the child starts showing signs of anxiety, which it has learned from its parents. As the situation gets worse, and the safety zone gets smaller, the parents’ self esteem diminishes as they see themself failing in their role as a parent. Parents with panic attacks will, after a medical, either end up on medication or counselling. However, this rarely helps and the parent will grasp at natural remedies, acupuncture, vitamin tablets, or whatever else they come across on a google search. As each miracle cure fails, they become more and more demotivated and give up on ever being a “normal” parent again. However, it doesn’t have to be like this. I am an ex-sufferer and I understand what has caused your panic attacks, and why you are in this cycle of fear. I can tell you that there is no miracle cure, or expensive weekend retreat, which will cure you of your anxiety disorder. Recovery takes time and effort and, because I have been through this myself, I can show you the way. I have already worked successfully with thousands of clients and my facebook page is one of the largest therapy groups on facebook. (You can visit it here). I can show you a structured programme to follow, with personal support from myself, to make sure you get the most benefits. There are no expensive fees or contracts and, because it’s all online, you don’t even have to leave home to follow the programme. I am the only panic attack therapist who offers daily personal support for when you are having a bad day. When I was a sufferer, I only saw my counsellor every couple of weeks. If I ever hit a bad patch, there was no-one to turn to. Seeing a counsellor every few weeks, with homework in between sessions, will not work for this kind of disorder. * Full online programme with mp3 recordings. These are anxiety reducing recordings but also includes one which you can listen to, via headphones, on your way to the school, supermarket etc. It will help to reduce your anxiety when you do something you normally avoid. ** We do almost daily, live, webinars to reduce your anxiety and make you mentally stronger. These are live sessions and will speed your recovery. It is up to you how many sessions you attend in any week. You will not require any special equipment or webcams etc. *** Membership to a closed facebook group where you can chat to others in your own situation. If you wish, we also have a buddy system if you want to have support from another client. ****I will provide personal support for everyone on this programme. This can be via email, facebook chat, phone text, webinars; it is up to the client to choose his/her preferred medium of communication. ***** I want anyone interested to sign up today and get used to learning how to use the log ins etc. On Monday, the group start working together, with my support, to follow the techniques which will help you start being a “normal” parent again. So, you are probably wondering how much this is going to cost? My normal rates are £45 or £125 per month, depending on the package you choose. However, in order to try and help as many parents as possible, this therapy will only cost £35 per month. There are no contracts and you can cancel at any time. £35 for the chance to start taking an active role in caring for your children! * Sign up today using this link. The total cost is only £35 per month. As payments are by credit card / debit card / paypal, your payments are protected. Read the instructions you will receive in your email box (check your spam filter, if necessry). ** Make a request to join my closed facebook group for my clients only. Here is the link. I will meet you there and give you further instructions. *** Congratulate yourself for taking the first step to recovery. You have joined other parents with panic attacks, and starting a new life. If you really want to join this programme to help parents with panic attacks, but there is some obstacle stopping you, phone me on 077 8215 8008 or email me on mail@hypnosolution.co.uk. I may still be able to help. Here are the links again to start the Parents with panica attacks programme and join my closed facebook page for my clients. Postpartum panic attacks can feel incredibly overwhelming. Here’s one mom’s experience with them–including how and where she found help. Read all 30 responses: “I am 32 married with two children (4 and 9 months). I have suffered from panic attacks and an anxiety disorder for as long as I can remember. 5 questions to ask before hiring a therapist for panic attacks, anxiety or agoraphobia. Hiring a panic attack therapist to help you overcome your panic attacks, anxiety or agoraphobia can be a nightmare, and can have disasterous consequences if you don’t carry out some precautionary checks. There are many people working in this field who have no qualifications or training. To help you make an informed choice, I have put together 5 questions for you to ask a therapist before you consider parting with your cash. 1. Which therapy are you qualified in and where did you study? You would be amazed how many “therapists” have no qualifications, or have completed a weekend course somewhere. Worse still, they may have set themselves up because they are a past sufferer and now feel that they can help others. Ensure that they are fuly trained and have been trained by a recognised body, before hiring a panic attack therapist. .2. Have you taken out insurance for public liability? Every therapist should have insurance to protect him/herself, and also to protect the client. Although rare, things do go wrong in therapy and it is important that all parties are protected. 3. I will need daily support in the beginning? Are you able to provide this? When you are suffering from an anxiety disorder, it is important to have daily support from your therapist. By this, I do not mean a helpline when something goes wrong. The therapist should be supporting you through techniques you need to learn and also offer optional daily relaxation/meditation sessions with you, depending on your needs. There is a higher probability of recovery where clients are provided with daily relaxation/meditation sessions. 4. If I hire you, can you confirm that you will personally carry out this support? Many therapists offer support but, when you ring them, you get a nameless face on the other end of the line. It is important that you are receiving personal support from the therapist and not his/her secretary. This person may not be qualified at the same level as the therapist. 5. Can I try your services for free for a few days? When hiring a panic attack therapist, it is important that the therapist and the client has a good working relationship, and there is mutual trust. The only way to do this is to have a few days working together to see how you get on. So, there you are! Do not be embarrassed to ask these questions, and any more you can think of. Any competent therapist will be glad that you are making the effort to choose the best therapist for your problem. If he or she is unable to answer your questions fully, it might be worth looking elsewhere. I can confirm that I meet all the above requirements. If you are interested in hiring me, please click here to see my rates and further information. You can also email me on benedict449@btinternet.com or phone 077 8215 8008. Please note that my programme for anxiety disorders, including my personal support, is online, so it doesn’t matter which country you live in. It is hard enough to tackle your panic attacks, but even worse when you have to do it alone, and without anyone around who understands what you are going through. 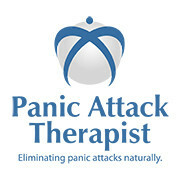 Panicattacktherapist.com has now come up with the idea of starting a Facebook Buddy System to help people, who feel they would benefit from support from someone who has already completed the programme and has more experience of the techniques we teach. New clients, or those going through a bad patch, can now buddy up with another member who has more experience of the programme, and receive the support they need. If you feel that you need that extra bit of support, just post your request on the page and wait for someone to contact you. If you don’t feel confident enough to make a request, just read the posts for a few days till you feel you are ready. Panic attack sufferers are thoroughly familiar with the shortness of breath, pounding heart, dizziness, and stomach issues that are associated with their anxiety. Many of our clients just need someone to talk to about their problem. Perhaps you are confused about the sensations you are experiencing, or you want to know if there is a permanent cure? If you are unable to see me as a face to face client, then an alternative is to skype or phone for panic attack advice. I am very knowledgeable about anxiety/panic attacks and will tell you exactly what is happening to you in easy, understandable language. Sessions can be arranged for either 30 minutes or 60 minutes. Charge for 60 minutes is £45 (if session takes longer, there is no additional charge). Please pay the required amount through this link and then contact me via benedict449@btinternet.com or 077 8215 8008 to arrange a time for the skype or phone session. If you wish to use skype, my address is vincent.benedict449. It is your responsibility to call me at the arranged time; I shall wait 15 minutes for you to call after which the appointment will be cancelled. There can be no refunds. If a cancellation is caused by myself, with less than 12 hours notice, I will refund all your money and carry out a later appointment with you for free. Please ensure that you will not be disturbed during the duration of the appointment. It is best to have a pen and paper available to take notes. Skype or phone for panic attack advice could be the answer for your problems.